redeliveries and the preponderrance of Chinese operators among the customer base for these fleets. Based on our success of 2015 conference, this forum is designed to gather airliners, lessors, OEMs, law firms, accountings,asset appraisalers etc again, to debate and share mid and end-of-life leased aircraft and engine asset management practise from diversified perspectives. Examining the challenges and opportunities of internationalization of Chinese aircraft lessors – what's ahead of us? Senior Vice President, SMBC Aviation Capital. MRO - what is good maintenance planning? 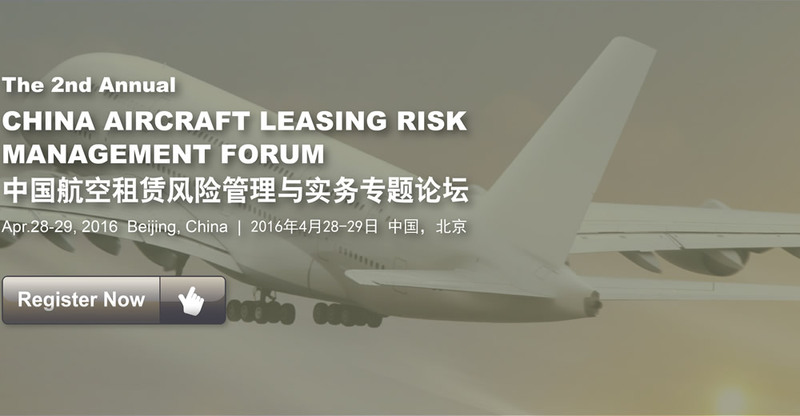 09:40 How for aircraft owners/lessors to get better prepared for leased aircraft repossession? 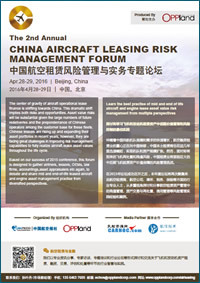 The official website of The 2nd Annual China Aircraft Leasing Risk Management Forum . Copyright © 2009 Oppland Corporation, All rights reserved. Oppland Corporation reserves the right to change the venue and content of the event should circumstances require. 2019 © Oppland Corporation, All Rights Reserved.